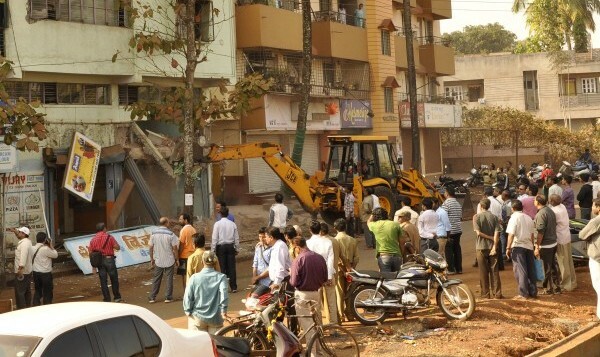 On Wednesday morning the Vijay bakery and Ronnies bar building were demolished as part of the road widening of the 40 feet Shukurwar peth to 60 feet. The work which had commenced a couple of months back is on a slow pace and Corporation authorities say sufficient time was given to the occupants to remove their belongings. The gutter work in some parts of over and some places will begin soon. Enroachment on Old P B Road? WHAT ABOUT BHARTESH’S ENCROACHMENT ??? ?.HE GOT MORE THAN SUFFICIENT TIME.